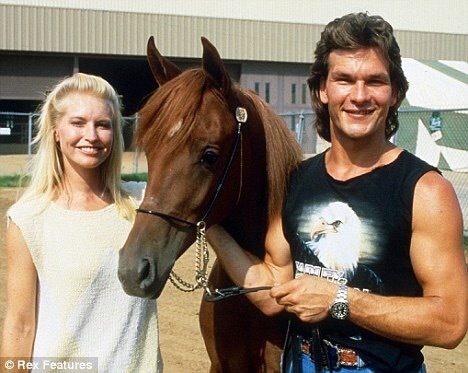 For many years I used go to Google Patrick Swayze’s name and select images. I loved him and enjoyed looking at him and his beautiful wife together. They were often on horseback or dancing. They lived on this beautiful ranch and they were so handsome together. I wondered what it was like to have it all like they did and to be married to someone who looked like that. It was almost like getting lost in their love story. But of course, they worked hard to get where they were and it was nice seeing them reaping the benefits and still be in love. So when Patrick got pancreatic cancer, I didn’t know what it was and was shocked when he died so quickly. Once someone has it, there is usually no cure and they die within months. Of course, I had no idea I would be affected by it, you never do, do you you? My Dad started being unwell in the February and he was gone by the beginning of September (7 years ago). Such a horrible cruel disease. 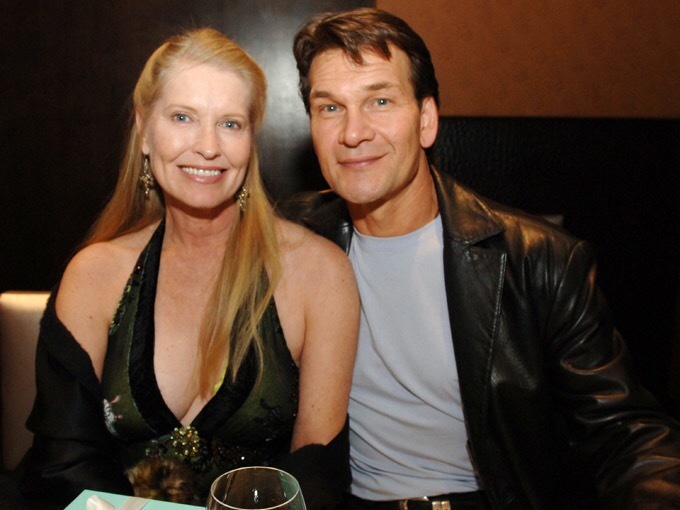 So I often wondered how, Lisa his wife, coped with such a tragedy and that her beautiful man was no longer by her side. But we all go on, don’t we? So I came across this video and she is selling their precious ranch and finally moving moving on. I came across this on YouTube . It’s so poignant to watch, it brings the sadness of it back. But good for her, I’m glad she is making a life for herself sharing his things with his many fans. Please support this Indie author ! Hey everyone. So there is only a few hours left on this Thunderclap campaign and I want to prove that when an indie author asks for help, the community will answer. This is a special project that a fellow indie author is trying to put together. He needs help to reach the hundred supporters needed for this media bomb to go off! If you have no idea what I’m talking about, just click yes to everything, comment below, and I will be happy to explain what a Thunderclap is. So please take a moment out of your day and click on the support button. It doesn’t cost anything but a few seconds of your valuable time. ARE YOU READY FOR THE B2BCYCON? The big weekend is finally here! Come and visit and meet lots of authors and their fantastic books! The Brain to Books Cyber Convention & Book Expo has the feeling of a normal book/author convention but with so much more for the readers to see, hear and play. The Cyber Convention is celebrating it’s 3rd year and it’s bigger than ever! Angela, B Chrysler is the brains, and working mechanics behind the CyCon and owner of Brain to Books, which is an open portal for independent authors. And thanks to the hard work of the genres managers, customer service, tech and the rest of the working wheels – who are ALL volunteers and have spent months making sure you and all the authors are happy and this years CyCon and Book Expo is going to be the most successful and largest ever! Hi! You have landed on the Magic of Stories, part of the Thriller Blog Hop and the Brain2Books Cyber Convention on Goodreads. I’m the writer of three novels and three short story collections. My three novels are being showcased on Goodreads, one in the Thriller section and the other in Romance. So just follow those links if you want to take a look. Let me introduce you to The Magic of Stories website, where you have just landed. This is where the magic happens and it’s a place to escape. There are stories of all genres, both mine and from guest authors. And get a free book! Book Events – a great place to meet new authors and their books and a chance to win prizes. New Reads via Book Trailers. I pick the most exciting. They are just like film trailers. Free Short Story – I’ll give you several links to read stories, some are mine, some from others. On-Going Book – via Wattpad, I’m writing a series of short stories about a psychic whose gift often lands her into trouble. My Latest Book – I’m writing the sequel to Joanna’s Journey, so there are sneak peaks to read. Competitions – The occasional competition where you can win something nice. Moon blanket – is it a comforter or something more? Drunk Again – a poem about drinking too much and the problems it brings. In Distant Time – travelling to the past can be perilous, as Julie finds out. Epitaph – a poem about leaving something behind when you die. Embers of Webster Street – Things are not always as they first seem. Fruits of the Forest – a tongue in cheek poem looking at the naughty things children do. Caromac – One of the first stories I ever wrote. A secret agent, a double agent and someone out to kill, but who and why? My Mum – I had the most amazing mum and wrote this poem for her in 2002. As my novels are featured on Goodreads, I’m going to focus on the contents of these three magical books! Although these stories are all different genres, most of them have a thrill element along with suspense and a touch of romance. Thrillers contain all of the things and I want to share with you. The Missing is the first book I published in 2014. I had always been intrigued about the reasons people go missing. It’s such a drastic step if you choose to do that, so what could be so bad to make a person do this? Over the years I’ve written many stories with that theme and sometimes, of course, it is not a choice to disappear. There are many reasons like murder or suicide and in this book, I’ve put in a few of those reasons. Human nautre makes us curious and we always want answer, unfortunately with missing people, that doesn’t always come. The first story is called The Runaway and was originally two stories I couldn’t quite finish, so I put them together. Suddenly the ending was became clear and it will always remain one of my favourites. Another one I did a similar thing was The Search for Daniel, only this time it was a song and a visit to my grandparent original house – 40 years after I last stepped inside it. The bungalow called Meadowlea and is included in the book just the way it was with my memories becoming the heroines. The actual story line came from the song Daniel, originally sung by Elton John, but it was the Wilson Philips that became my inspiration. Ellie had been searching for her brother Daniel for a long time. The end is a tear jerker as the two are finally reunited. My second collection is called Behind the Music and it was published the same year. Like many others, I love listening to songs and I especially the lyrics. It makes me wonder about the people behind the music. Who are they? How did they get to where they were? Again, over the years I found I had written stories on this subject and put them all into this book. The longest in the collection is called A Cry in the Night. I wondered how bands cope being on the road for sometimes years at a time. So I invented Rick Crockle, the lead singer of a band and who was having a breakdown from the pressure. He takes a condo on the beach to find himself again. He also discovers Gemma, someone who has her own ghosts to deal with. Together they make each other whole again. In 2016, all the collections were given a complete revamp. I rewrote all the stories and two of them I added an extra one I found in files. For Behind the Music, a wrote something new called The Power of Love which is a sort of fairy tale. I loved the way it came out as it was a complete surprise. I sat down and let my muse do the writing! Heroes was published later in 2014 and now has 9 different stories. They depict an assortment of heroes and sometimes that hero can come from within ourselves. This is true for the story called The Man with the Flask. Our heroine has literally a mountain to climb when she faces her own worst fears. What she does is undoubtedly save the lives of many others. Million to One is one of those stories I would love to turn into a novel. It’s about the mafia and romance, two things that don’t normally go together. But all my stories are thrilling suspense stories and many with a touch of romance. Libby has a disability and she believes it is her punishment. When she falls in love with a mafia man, she realises he is just like her father in many ways. She doesn’t know he would do anything for her, but some things are best kept to himself. So these are a just a few of the stories within my themed collections. As I mentioned they have all had a rewrite, reformatting and exciting new covers made by Fantasia Covers. If you want to buy any of my book collections, you can get them in all formats. Just follow the links. The next blog stop is Karina Kantas who has some fabulous things to share with you. Here is the landing page for all our Hops! Win one of these books by entering the giveaway! Would you like to win one of these beautiful coasters? All you need to do is leave a book review! Please share and spread the word! As April is my birthday month, I am holding a GRAND GIVEAWAY for the whole of the month. This is the prize up for grabs, a LONDON LANDMARK Cross Stitch Coaster with your initial. Each one comes with a different landmark and if your initial is shown in one of the pictures, this is what you will get. If you are, or want to be a newsletter subscriber, you will have received your free book, Magic of Stories. If you have already read it, then leave a review for one ticket in the draw. The day started bright and sunny, her coffee was smooth, just the way she loved it. The outside beckoned. Her need to submerge herself in Mother Nature’s earthly embrace was poignant and urgent. Roxie quickly finished her morning routine and donned the active wear she preferred for hikes along the mountain trails surrounding her property. She felt she was on the edge of something monumental but, for the life of her, she couldn’t figure out what. Shaking off the feeling, she stepped off the veranda…reveling in the soft, spongy feel of rich earth beneath her sneakers. Taking a deep breath of the refreshing air, Roxie headed for the trail head. Again, she had to push away the feeling that something was looming above her head. Instead, she allowed nature to soothe away life’s hectic worries and chaotic events. After a few stretches, she was off for the needed exertion of a long hike. Twenty minutes into her journey, as she was rounding a bend in the trail, she noticed an elderly woman walking towards her. The woman locked eyes with her, and in an instant, she liked this stranger – immediately she felt a deep connection. As the two women walked towards one another, the woman flashed a welcoming smile, waving as if they were old friends. Roxie smiled in reply. “Hello”’ said the woman “I was looking to have a seat, and enjoy a bite to eat. I’ve got plenty, would you care to join me?” Before she knew it, and without knowing why, Roxie said yes – something she would normally never have done. She followed the lady to a patch of flat grass, in a clearing, on the side of the trial. Her brain was having trouble grasping the fact that she had so readily agreed to a picnic with a total stranger. Usually cautious, over cautious actually, impulsive behaviors were a stranger to Roxie. From childhood, she had always been hesitant to open or to be impulsive and carefree, to the point of causing others to steer away from her company. She tended to come off as closed, and unwelcoming That trait had carried over into her adulthood, and if she were to be completely honest with herself she would even say it was the very reason she was still alone in her mid-thirties She had never been in a relationship, in fact, it was rare for any of her first dates to ask for a second. She was well aware that this particular quirk in her personality was handicapping her, it was robbing her of living a full, and satisfying life. To counter that she submerged herself in her work, filling every little void with work, work and… more work in a feeble attempt to chase away the moments of loneliness. The sandwiches the woman offered were delicious. The lemonade was refreshing. After thanking the woman, Roxie lay back to look up at the sky – wondering what had made her so easily agree to join a stranger for lunch, out in the middle of nowhere. The woman cleared her throat and asked Roxie if she would be willing to listen to her talk a bit. “I so rarely get to chat with others. “My life has been lived mostly alone. I never married, never did much outside of my comfort zone”, the old lady said with a sigh. “And I would so love to just talk to another person for a bit. Would that be okay with you?”, she asked, peering intently at Roxie. Again, Roxie was compelled to comply, something in the aged eyes, and wrinkled face of this stranger rang the bell of familiarity. happiness…and companionship. Caution is good in small doses but, if all you ever do, such as I have done, is stress and worry about the myriad of what ifs, then that is all you do…stress and worry. These things can turn a journey with a soulmate into a walk of loneliness. You meet your soul mate once, and if you let that meeting slip by without grasping it to your heart, and soul, it will be a loss felt forever. I once had a chance, on this very trail, to meet my soulmate. I let my own over cautious hesitation take him away. I’ve wondered every day, if indeed, that man I failed to speak to was who the Fates had truly intended for me to be with. Caution and hesitation have been my bane, young lady. Please, do not let them be yours…” As the old lady finished talking Roxie felt something deep in her soul quiver for a moment, it was as if this strange, perplexing little old lady was talking about her. How could that ever be?, Roxie thought to herself. As the woman turned back toward where she had come from, Roxie turned toward home, the words of wisdom still with her. To her absolute surprise, she noticed a tall, and rather handsome, man standing on the cliff side of the trail. He was staring intently at the vista of the valley below. Not sure how long he had been there, she was going to ignore him, but something inside her found the strength to push aside her hesitation…maybe it was the words of the old lady. Clearing her throat and, swallowing her nervousness, she called out a hesitant greeting. Fear almost made her scurry away down the path but, the wise words of the old lady made her throw caution to the wind. He turned toward her, waved and gestured for her to join him on the precipice, a warm smile on his face…a smile that immediately felt like a warm fire on an icy cold night. Before she joined him, she gave one last glance in the direction of the old lady. As a lover of nature it is not surprising that it tends to play a part in many of her writings. A mother and a Nana, Jennifer Deese looks forward to spending time with her loved ones. She resides in Pennsylvania with her two dogs and boyfriend James and his son.